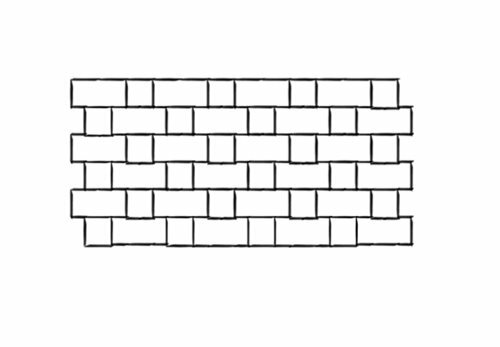 There are endless examples of brick pattern types ranging in a number of different ways. It can be overwhelming to decide which pattern is ideal for your area, so we have made this collection of the most common types you will find, along with useful descriptions of each pattern. These descriptions will assist you in understanding the best location for a certain pattern, and to decide which pattern is right for you. This pattern has been around for centuries and can be seen decorating ancient European towns. 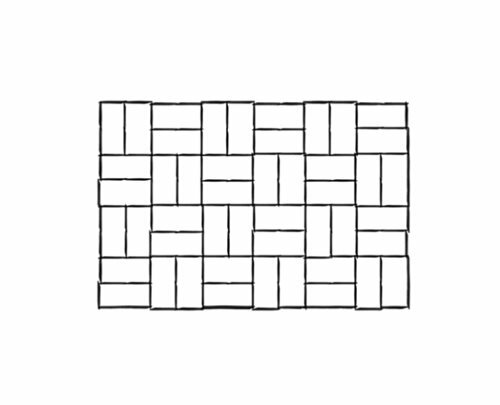 The basket weave pattern can be thought of as a checkerboard-like pattern that is composed of pairs of bricks. The bricks are laid horizontally and vertically against each other to create the visual effect of them weaving in and out of each other. This is a very eye-catching pattern, and is appealing in patio or entertainment areas within your landscape. 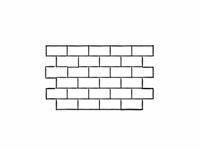 This is the most common brick pattern used in residential landscapes. It is considered eco-friendly as well because it requires minimum cutting and leaves close to zero waste behind. The running bond pattern looks great laid in outdoor patio and entertainment areas because it is a very strong/durable pattern that can handle significant weight from furniture and other patio necessities. 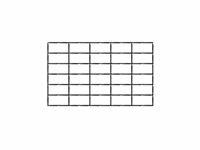 There are many different variations of running bond patterns, all which the same general layout of the original running bond. 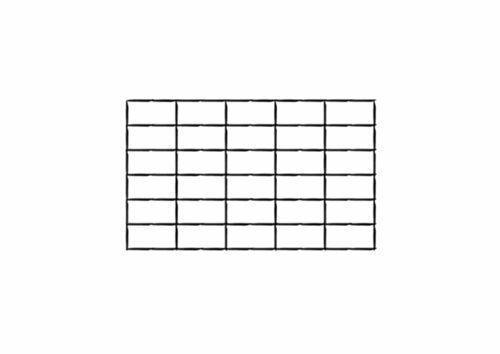 The variations can be seen mixed with the original running bond pattern, or be laid individually creating a unique pattern that is not so commonly seen. No matter the variation this pattern is still best suited for small patio or entertaining areas within your landscape. 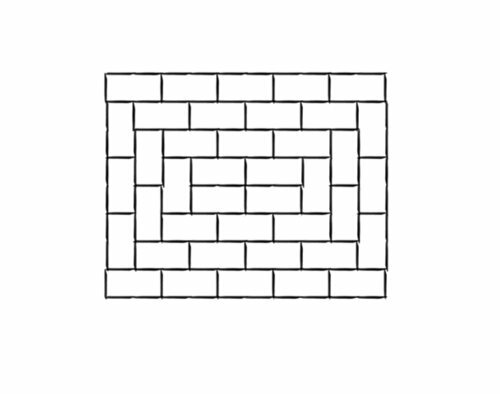 This is the most simple of all the paving patterns. The bricks are placed side-by-side creating strong, visual lines in the ground plain. The stack bond is known to be the best pattern for walkways because it has a stronger bond, which has the strength to undergo more foot traffic than other patterns. 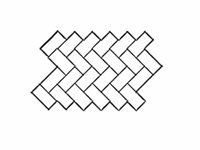 This pattern can also be laid at a 45 degree angle to create more interest in your space. The strongest of the patterns is the herringbone. It can be laid at a 45 or 90 degree angle. The pattern has many angles that can be described as energetic, and can truly engage your visitors as they make their way to the entrance of your home. 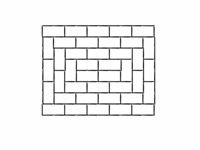 Because the pattern tightly interlocks the brick it can handle significant weight, which is ideal for driveways. 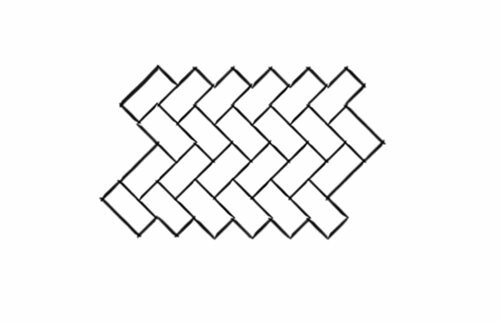 This pattern is among the oldest, along with the basket weave pattern. 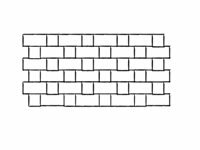 It’s another brick pattern that has been laid for centuries; however, the Flemish bond pattern was seen more in England rather than Europe. 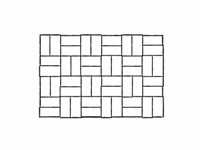 This pattern is laid in layers consisting of headers and stretchers in each layer. 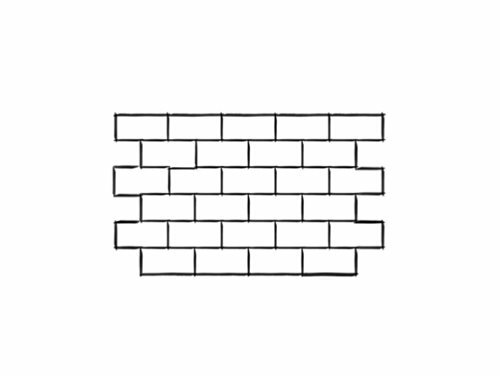 The pattern alternates in each layer with the header brick being centered between the stretcher above and below. This pattern is universal and looks great on patios, walkways or even driveways.